Alexander Ponomarev (b. 1957) is an Ukrainian artist who lives and works in Moscow. A nautical engineer and a practiced submariner, Ponomarev uses experiences obtained from his travels to the depths of oceans and across arctic terrains as a lens through which to view the world. He primarily explores the symbiotic relationship between man and machine. 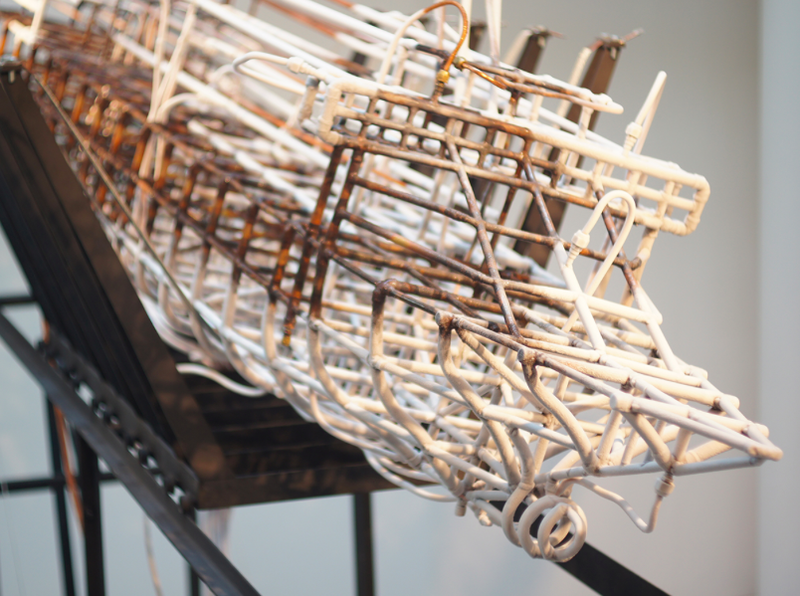 In both his multimedia installations and works on paper, the artist emphasizes the human imagination as a component in the creation of machines; much like Da Vinci’s flying machine sketches, they collapse the difference between technology and art in order to encourage the production of machines for constructive, pleasurable discovery rather than destructive, militaristic purposes. Ponomarev has staged performances in Northern European seas that draw from Alan Kaprow’s Happenings. His works are also notably influenced by the Christian story of Noah and the Ark, and its theme of humanity’s dependence on a vessel to save them. Ponomarev’s recent projects include Concordia (2015) in the Antarctic Pavilion at the 56th Venice Biennale of Art and preparations for the 1st Biennale of Antarctica (2017). SUPPORT: Alexander Pomaronev's 2-month residency is made possible with support from the Richard Taittinger Gallery, NYC in collaboration with Time Equities Inc. Art-in-Buildings.